WANT TO SUPPORT ST. LOUIS PARK MIDDLE SCHOOL? Meeting students’ needs outside of school is imperative to making sure they are able to actively participate in their classes and reach their full potential. 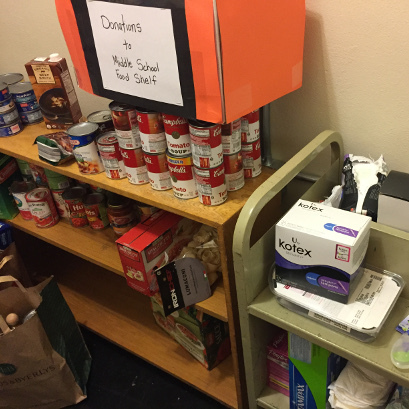 The school is seeking funding to set up a food shelf, including creating storage space and stocking the shelves with healthy food that students can prepare at home. Our school has a significant population of students who live in challenging situations. These students need help with many things, but having food in their homes is one of the largest and the easiest to help with. We are in the process of setting up a food shelf where students can collect items for use at home. 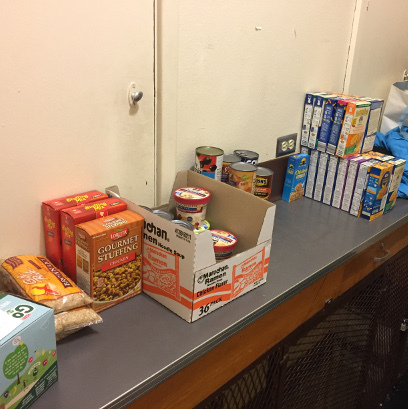 We need help with creating the storage space and with stocking the shelves with food that students can prepare and that is healthy. Our school works hard to meet many needs that happen outside of the school day and this is something that the teachers have deemed important to learning and productive behavior at school. Students who come to school hungry are not able to participate fully in their classes and they are not able to grow and develop to their best potential. Meeting their needs outside of school allows students to come to school healthy and prepared to learn, which is how we like to see all students. Funding will allow us to consistently stock the shelves of our food pantry, rather than rely on teacher donations. It will also give us the ability to create a permanent home for storage by building shelving and organizing our space. Having additional funding allows us to be consistent with our filling of the shelves and it allows us to customize the items that are being stocked, rather than relying on donations only.